Locations: Milwaukee,Sherman Hill, Duluth area, Two Harbors, Cheyenne, and more.. 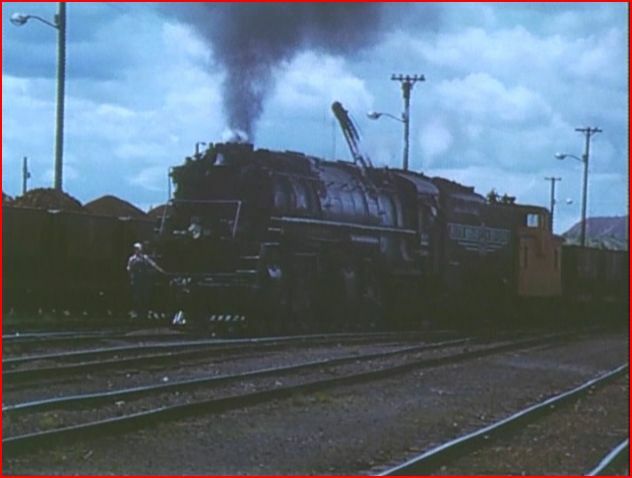 This show is included in the 7 PAK Steam set in the The Golden Twilight of Postwar Steam 50’s Special. Housed in a sturdy plastic DVD box. This is the 2nd of 3 volumes, from the Steam in the ’50’s series. Each show has different cinematographers. The theme remains the same, of 1950’s steam power. 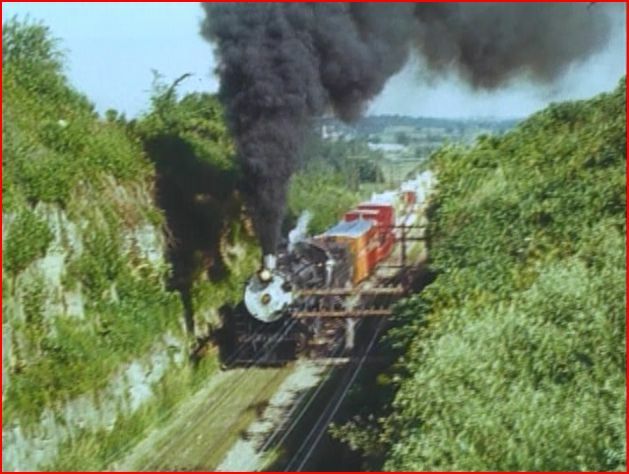 It is a treat to see the multitude of railroads seen in this series. Volume One is a very popular Green Frog title. 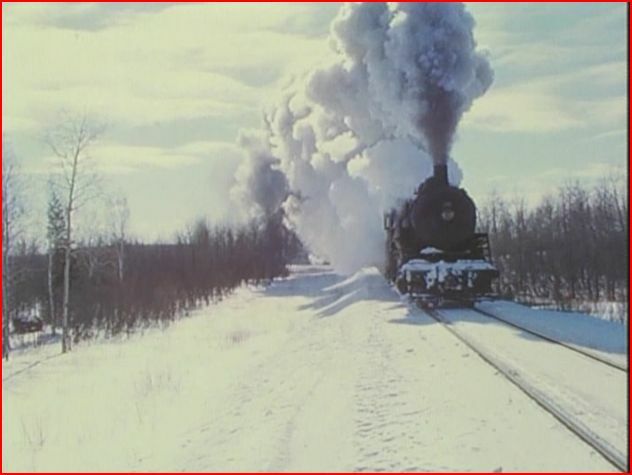 Tom Strid had traveled to film: Union Pacific Big Boys, Duluth, Missabe and Iron Range Yellowstones, Duluth & Northwestern, and much more! 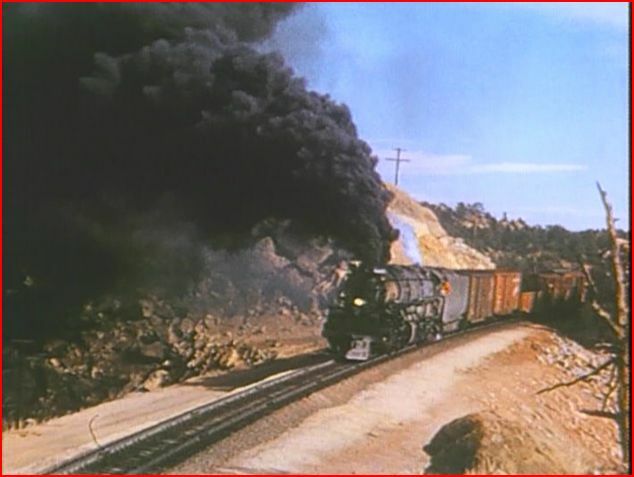 Although not a ‘big name’ in the vintage film world, Mr. Strid had recorded some classic steam era action. He used quality 16mm film. At 99%, most of this show is in full color. Green Frog has it’s usual high standard of production here. There is a narrative that describes the scenes. The audio track sounds fine. Natural sounding steam sounds. As noted on the package: “All Green Frog DVD’s are encoded at very high bit rates for superior video quality!” The picture matches the statement. The footage looks excellent. Let us view some actual screenshots to see Tom Strid’s cinematography. Circus World Museum at Baraboo, Wisconsin provides the consist bound for Milwaukee. A Chicago, Burlington & Quincy engine powers the move. This train gets chased! 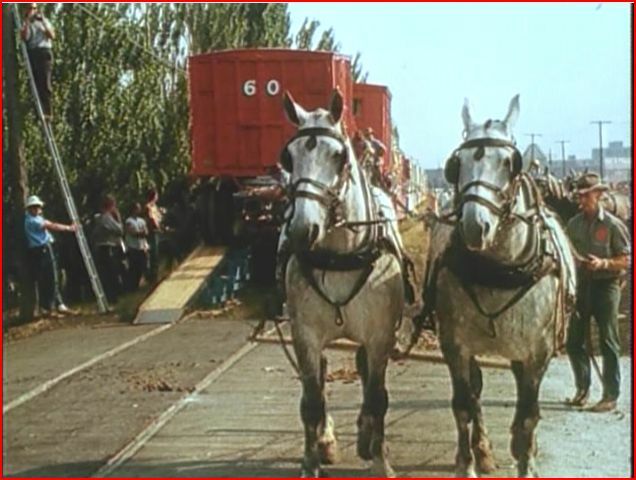 The Circus Train ends up being unloaded by 2 horsepower teams! A fun feature of the show. A bit of the parade is included in front of the C&NW station. This is fun! The main black and white film sequence is worth the price of admission. A 2-8-0 that served during World War 2 in France. 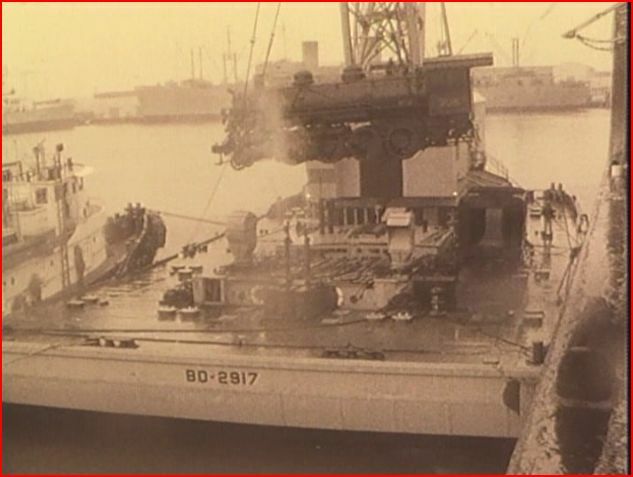 This is the General Pershing, being returned to the United States in 1959. 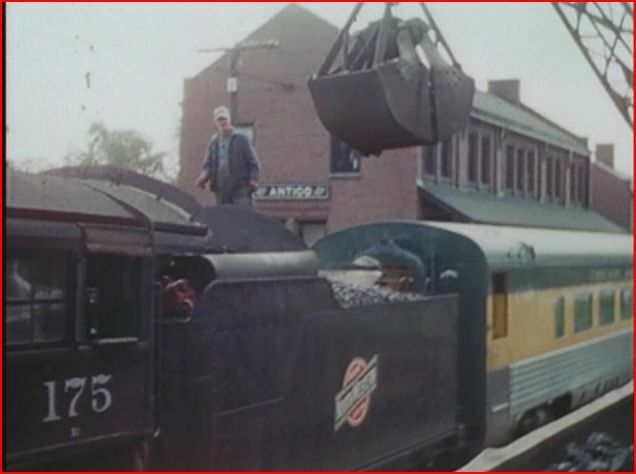 You will see both the locomotive and tender being skyhooked to the dock. Fascinating to see this performed. 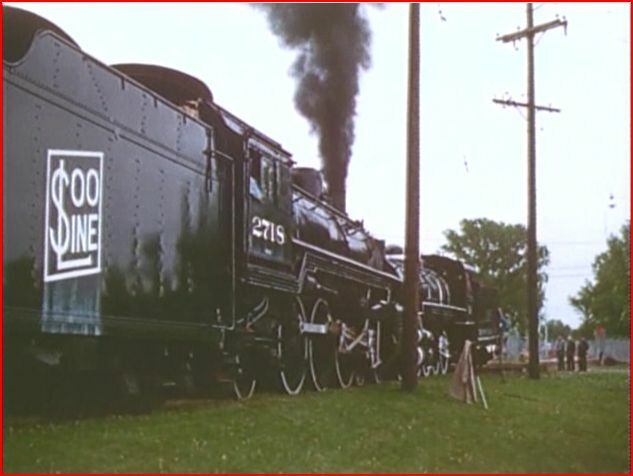 Soo Line 2718 shoves the General Pershing into a museum exhibit place at Green Bay. Duluth & Northeastern gets a large section of the program. Winter makes for some great viewing. There is warm weather action too. Tom Strid has a nice assortment of viewpoints. Usually including the longer environmental shots, and close-ups on most of the engines. 175 is a C&NW loco. Ran excursions in 1957. 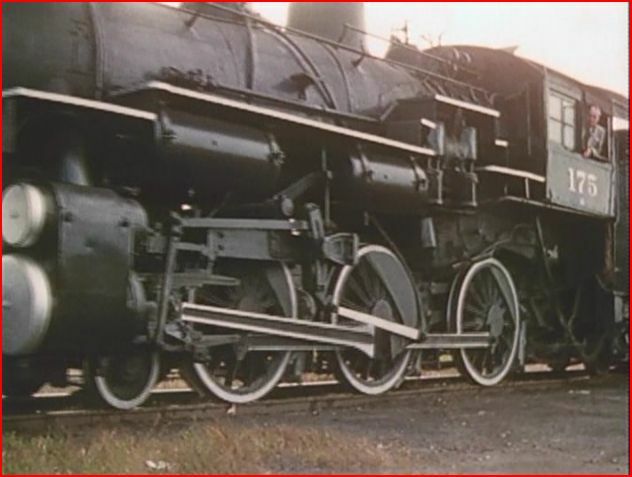 Another interesting view of the 175 on an excursion. At this late date, coal tipples weren’t easily found in a serviceable state. Bucket cranes did the honors. Union Pacific Big Boy locomotives get an extended segment of the show. They are a highlight! Many views of these behemoth engines. Seeing a Big Boy crossing a wooden trestle is a memorable sight. Naturally, we visit Sherman Hill. A Big Boy freight chugs past at yard limit speed. This is at Cheyenne. 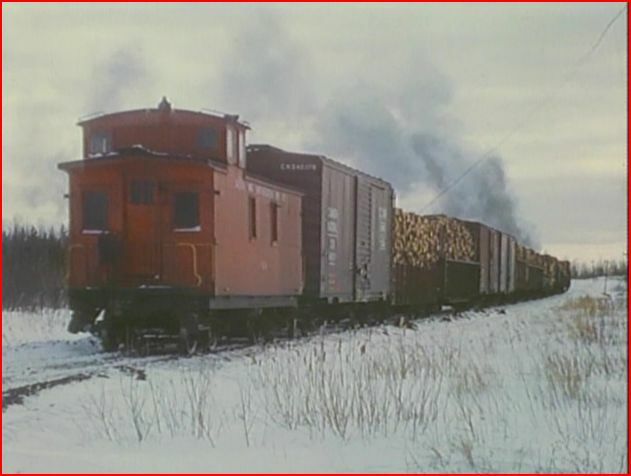 Duluth Missabe & Iron Range had the famed Yellowstone class articulated locomotives. 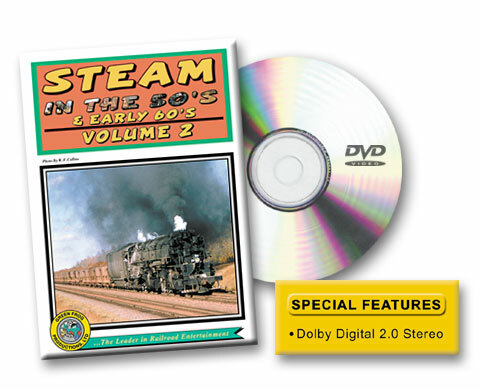 Steam in the ’50’s Volume 2 is a fascinating look with some uncommon footage. It is a fun and satisfying way to spend 30 minutes of vintage train watching. The only shortcoming is the short length of this program. Maybe that is all there is from this fine photographer. The other 2 volumes are nearly double the running time. Still, this is a nice show to have in the collection. If you purchase the entire set, it just adds to the enjoyment. Recommended for everyone. A fine one for the whole family. This entry was posted in ATVR Reviews, Green Frog Prod. 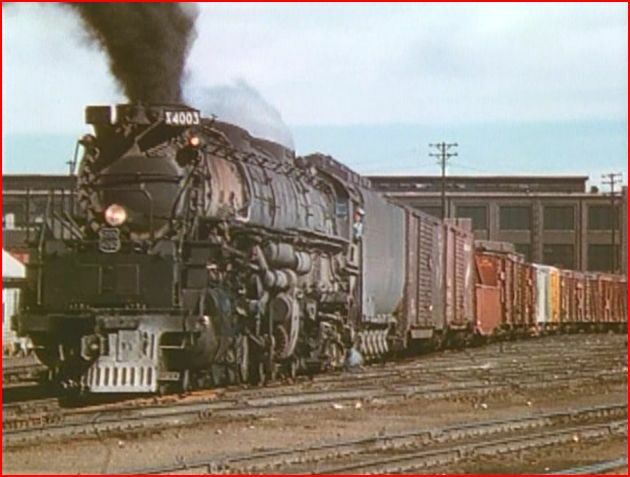 and tagged American Train Video Reviews, Chicago North Western, Railroad, Steam, Steam engine, steam train, Train DVD, transportation, Union Pacific by William J. Hudson. Bookmark the permalink.